An annual 16-mile walk to celebrate the local recovery community in Gateshead will be held this week, and is expecting over 100 participants. Gateshead’s Recovery Walk, now in its seventh year, is organised collaboratively by local charities to celebrate the supportive recovery community in the North East, and to raise awareness of addiction and recovery. National charity Changing Lives, Fulfilling Lives Newcastle Gateshead, and Gateshead Evolve (CGL) have organised this year’s event, and look forward to welcoming more walkers than ever before. 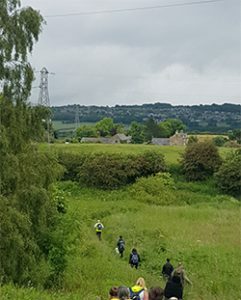 Gateshead’s recovery community is proud to have the longest Recovery Walk in the whole of the United Kingdom, with a route almost 17 miles long. This year, Gateshead Recovery Walk will welcome Ian Mearns, MP for Gateshead, who will join walkers at a celebration event at St. Joseph’s Church in Gateshead following the walk. Last year’s recovery walk welcomed over 80 people on the 17-mile route. Last year, 84 people completed the Gateshead Recovery Walk, which takes participants along a 17 mile route from Chopwell Community Centre to Gateshead High Street, taking in the views of Derwent Park and the Quayside along the way. Of those that joined the walk last year, many were in recovery from an addiction themselves, with others working to support those in recovery and supporting family and friends. Walkers will be meeting at Gateshead Civic Centre at 9am on the morning of Friday 21st July 2017, where coaches will take them to the starting point of Chopwell Woods Community Centre. The route finishes at St. Joseph’s Church, where a celebration event will be held for all those who complete the walk.